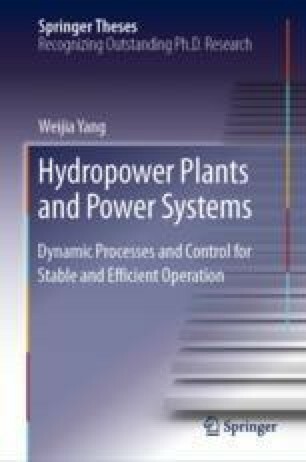 The stable operation of HPPs regarding frequency stability of power systems is analysed in this chapter. In Sect. 4.1, case studies on different operating conditions of HPPs are conducted, and the simulation performance of Model 1 based on TOPSYS is presented. In Sect. 4.2, response time of PFC in HPPs is investigated under grid-connected operation. In Sect. 4.3, frequency stability of HPPs in isolated operation is studied.